Click on the team photo for a larger version of the picture. All games are listed as Eastern Standard Time. Home match-ups are in bold. Scott Cornett claims Hyden, KY as his hometown, but he has spent a good chunk of his time in Pippa Passes. He played baseball for ALC from 1985-1989 before going on to play two seasons as a catcher for the White Sox. He has earned various honors and achievements, including being named a 3-time MVP in high school and college, 3-time 1st Team All-Conference, an All-American (1988-89), 2nd in the nation in batting average (1989), and was invited to both the Pan AM and USA Olympic Tryouts. Coach Cornett is also a proud member of the Leslie County High School Hall of Fame and the ALC Athletic Hall of Fame. Coach Cornett has 2 children, Haley and Dalton, and one grandson, Duncan. He lives in Pippa Passes with his wife, Kim, and son, Dalton. 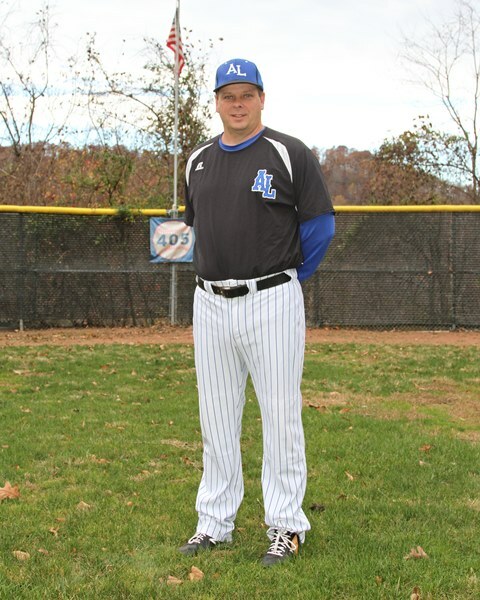 He has coached Eagles Baseball for 30 years and also acts as the College’s Dean of Students & Community Life. Please bring your cap and gown for the class photo!